Deep), please ensure that they fly the club burgee when moored there, as it has been noticed that noticed the Harty buoys are being used to leave unattended non-club boats on. NB Please note that it transpires that the mooring on the pub side of Harty hasn't been put out this year by Bluey!!! – at least it saved some money on the rental. 22/03/2012 Located on the south bank of the River Thames, Gravesend is an historic gateway to the Port of London and approximately half way between the Thames Estuary and Tower Bridge – the distance in either direction being that which most craft can comfortably achieve on a tide. 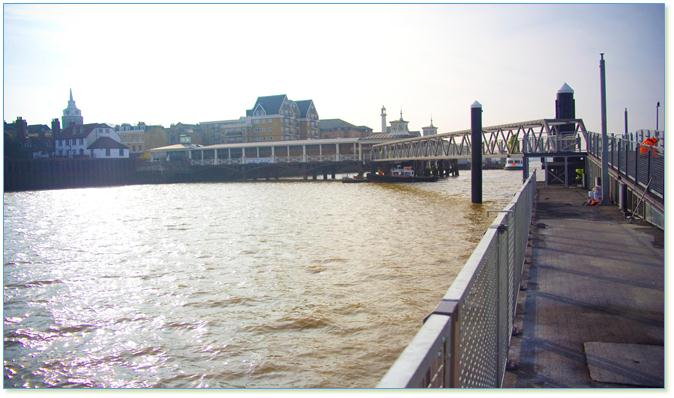 Connected to Gravesend’s historic Town Pier, the new pontoon will provide berthing and passenger access for the Gravesend-Tilbury Ferry from April 2012 and is designed to accommodate use by a range of other visiting commercial and leisure craft. Fully accessible, all-tide access with power and water.